Edward Burns started his career by working his way up the ranks of a well-known fencing business in the Southern Maine market. He jumped at every chance to learn something new about the trade, having realized early on that someday he would like to open his own fencing company. In 1956, Ed saw his opportunity to do so. President Dwight D. Eisenhower had signed the Federal Aid Highway Act, prompting a massive amount of infrastructure development across the country. Quality, knowledgeable contractors like Ed would soon be in high demand. Ed opened Burns’ Fencing in 1957 and the company soon became a crucial part of highway projects in Maine. During its initial years in business, the company built a reputation as a top-quality fencing contractor. In the mid-eighties, with his business acumen and pulse on construction trends, Ed saw a shift in the fencing industry. He started to look for someone to help him continue to scale the company, and in 1986 he turned to an entrepreneur and friend, Aime Levecque, to undertake that project. Aime Levecque began transforming the company through a rebranding that leveraged its founder’s name and reputation. Aime also relocated the company to a bigger, more modern facility at 14 Rochester Street in Westbrook. Coincidentally, the site was once home of the Cumberland Mills train station where Aime’s father, an immigrant from Quebec, first stepped foot in Maine. In 1996, Peter Levecque, Aime’s son, took over the reins of the company. After working alongside his father for many years, Peter became owner in 2006 and picked up where his father left off. Peter, along with longtime employee Mike O’Brien, went to work expanding the product offering. He also oversaw the building of new offices in 2007. In 2005, Peter’s son Jason Levecque started working at Burns’ Fencing following his graduation from the University of Southern Maine. Jason now serves as the company’s Vice President and runs the company’s day-to-day operations. Like his grandfather and father, Jason sees it as his mission to continue Burns’ Fencing’s growth. He has succeeded in expanding the company’s coverage beyond Maine and into New Hampshire and Vermont.  Working alongside Peter and Jason are 15 dedicated employees who abide by the Burns’ Fencing philosophy of providing a quality product at a fair price. The Burns’ team sees a bright future ahead, and looks forward to serving their customers with the same enthusiasm they have for the last 60 years.